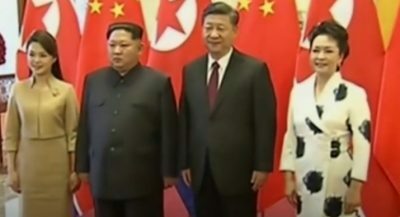 North Korea pays homage to China before meetings with America and South Korea: Denuclearization? 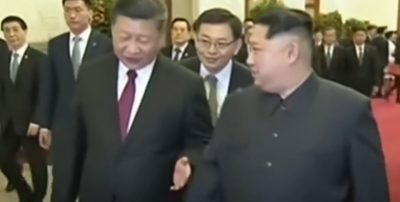 Kim Jong-un, the leader of North Korea, visited President Xi Jinping in China. Hence, it is clear that the old Middle Kingdom remains of utmost importance to North Korea despite some media sources claiming the opposite. Therefore, it was in China that North Korea pledged denuclearization, providing America and South Korea promise to provide certain guarantees. It appears that North Korea consulted China prior to planned talks with America and South Korea. In other words, political elites in Beijing are maintaining many strings in relation to the Korean Peninsula. Similarly, China pledged to maintain its loyalty towards North Korea, thereby, freeing any fears that North Korea may have. It is important that any bellicose rhetoric from America and Japan is reduced while the window of opportunity exists. After all, it is clear that South Korea seeks a genuine compromise between both Korea’s. Therefore, America and South Korea should reduce the potency of the military drill that will begin next week in South Korea. If so, this will further help North Korea to trust the perceived enemies of this nation. North Korea would have to stick close to their Chinese friends . China has promised to help N korea again like they did in the past . Seems to me China announced a very peaceful ,honest ,reasonable Korean policy . If anyone attacks you we will help you . But if you attack anther country we will not help you . A United Korea could find themselves in the middle of a very important position . standing between capitalism and communism . Lets let the best dog win .